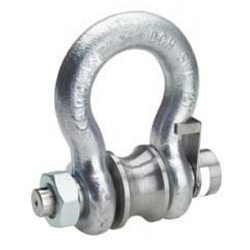 Capacity: 8-1/2 t through 55 t.
We are dealing with Forging Shackle. It is high tensile , tested, alloy steel Dee Shackle. 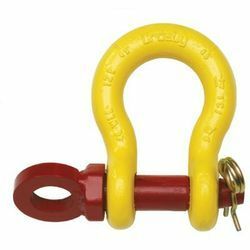 Capacity varies from 1 T - 55 T.
Counted as one of the prominent organizations, we are involved in offering a wide range of Poultry Shackles includes stainless steel and plastic.Dimensional accuracy and longer service life. Following the precise demands of clients, we offer these Poultry Shackles in various range, designs and dimensions. We are dedicatedly involved in manufacturing a wide array of H Shackle.